Good morning! The Cast and Crew for Gina K Designs welcomes you to another fabulous Inspiration Blog Hop! 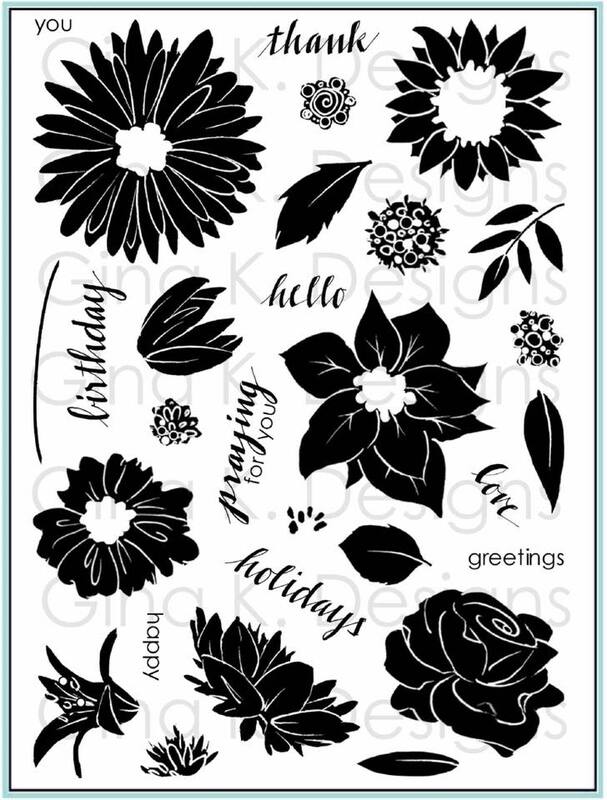 Gina, along with the Cast and Crew and Guest Designers, will inspire you with many beautiful ideas, and as you hop through their blogs, make sure to leave a comment on each because we will choose a few random comments and those stampers will each win a grab bag of Gina K. Designs products! To see the full list of winners, check the Big News Forum at StampTV a few days after the hops. Today I have another video* for you with my set Fabulous Frame. I hope it's back in stock very soon, it has been reordered! Update: This set is currently backordered, which means you *can* order it now! It will take 2-3 weeks to ship, but no additional shipping charges will be incurred when your set ships. Yay! (Check out my other frame sets if you like this approach to cardmaking, they are all winners!) Lots of techniques in this video: embossing, paper piecing, coloring, and masking! Doesn't the embossed frame look amazing? So excited to be able to create embossed frames for lots of quick but fancy cards! Also, I have chosen a winner at random from my Youtube subscribers, thanks everyone for helping me get to 1000 (way over that now, actually!) Marianne Grimbly, you have won one of my very favorite sets (and yes, it has a frame), Inspiration Mosaic! Congrats, and please email me with your address so I can send the set to you. :) If any of you have not yet subscribed to my channel, please do so as I will have another giveaway soon, next milestone to be announced! We also have Debbie Corbari's Let's Talk today, to go with all her Divas or just making fun whimsical cards. So cute! I have a few friends I'd love to send "Say what?!" to! Let's see what else we have to get the creative juices flowing! Happy hopping! Melanie Muenchinger - Illustrator of Fabulous Frame, you are here! My first frame set available in clear, this is so exciting! Fabulous Frame includes an elegant, timeless frame is sure to become a favorite in your stamp collection. Use it any time you want to showcase a favorite image or greeting in a very special way. This frame creates the look of 6 additional layers or more when added to a card base. Labor of love look without the extra time, cost or bulk! 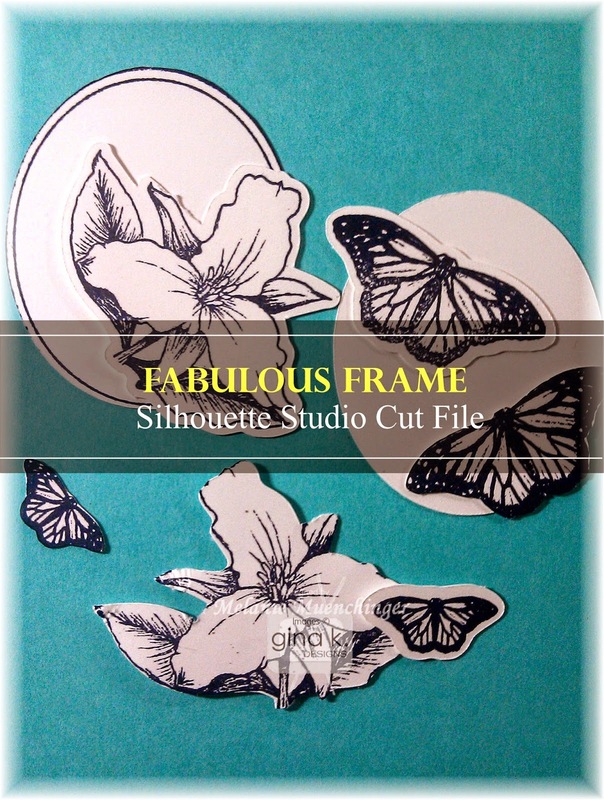 If you a have a Silhouette, be sure to get the Studio cut file this weekend, it is a free download now but will go into our regular stock next week. Frame measures 4 x 5 1/4". Use a 4 x6 or 6x 6 block to stamp it, or try a Cuttlebug plate or place it on your work surface as it will stick to a smooth one, but be sure its clean with no bumps underneath that could be picked up in the image. Lots of options! Butterflies and flower are included to dress up this frame, but alone it is a beautiful blank slate that is specific to no season or gender. This frame can turned four ways for gorgeous portrait and landscape layouts. 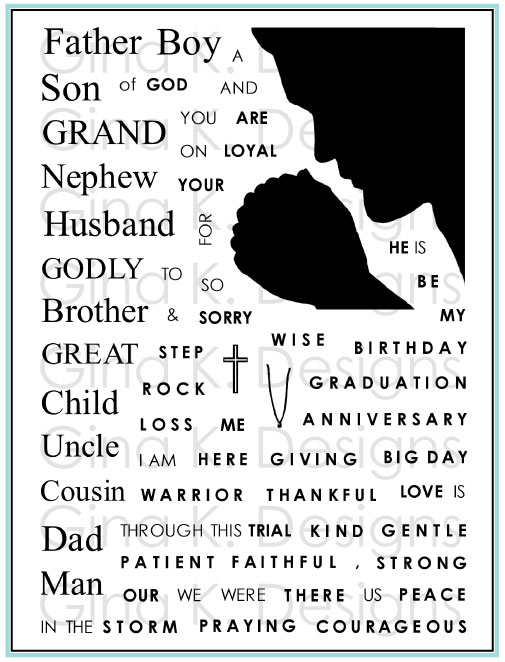 Frame your favorite large sentiments and image in the oval. Cut the oval center out with your image stamped on layer behind it. Popping up the frame with foam squares creates a beautiful window. Create several reverse masks by putting out the different sections of the frame to layer over the stamped frame to mask off areas for sponging and collage stamping. Paper piece the different sections. Color the borders with markers to create a heavily layered look of many cardstocks, in just one layer! Emboss with metallic powders for a very fancy card. 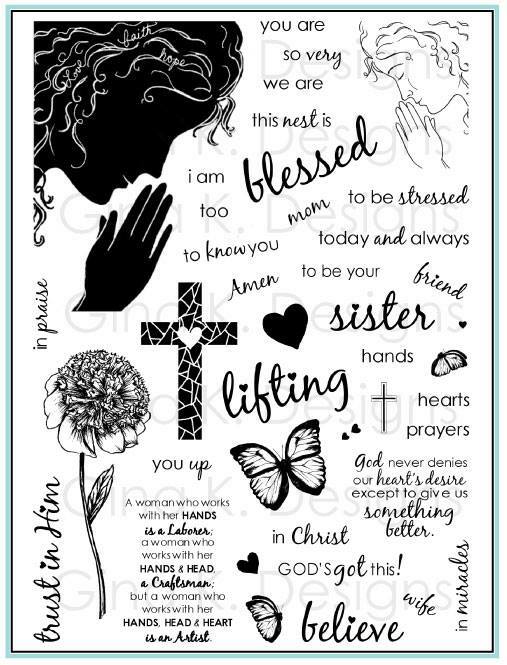 Stamp the frame in white or ivory on dark cardstocks. Cut out just the strip and oval to use on other cards like a belly band. This can be at the top or bottom or third like in the original frame, or centered or slid to whatever point desired. Turn the belly band sideways on a landscape oriented card to create a fancy label. Punch out a slit on either side of the oval to thread a ribbon through, the borders above and below will accentuate the ribbon perfectly. Clear emboss it for a subtle dry embossed look. Stamp the included words in the corners, on tags or above and below the oval inside the rectangle strip. 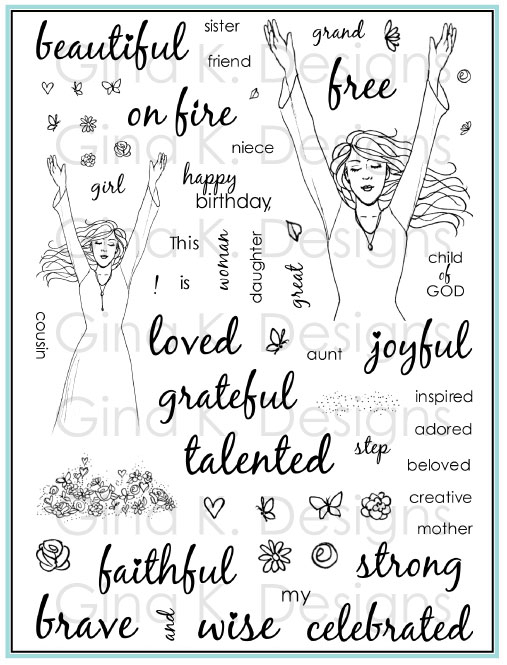 Mix the words with Say it with Flowers sentiments if you have them to create sentiments that are all italicized, plain or a mix. The fonts are the same but the use of italics is switched which gives you more combinations. You will love having all these words in clear for perfect alignment on your projects every time! Greetings will work for all occasions. 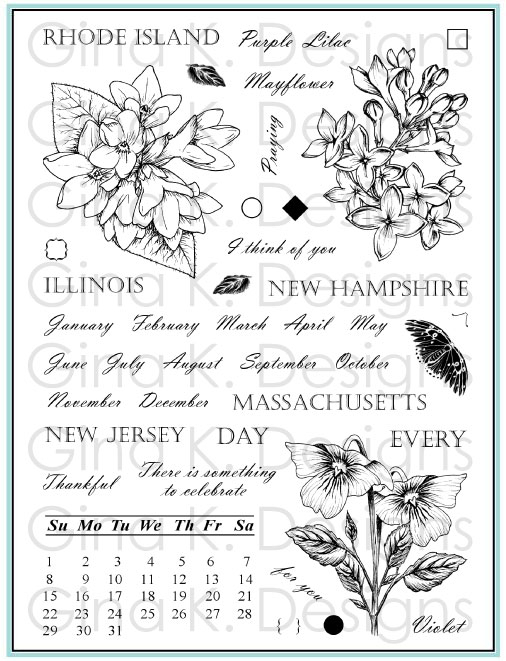 Use the hello and from with any of the state names in the Stately Flowers series. Curve clear greetings to stamp around the perimeter of the oval. 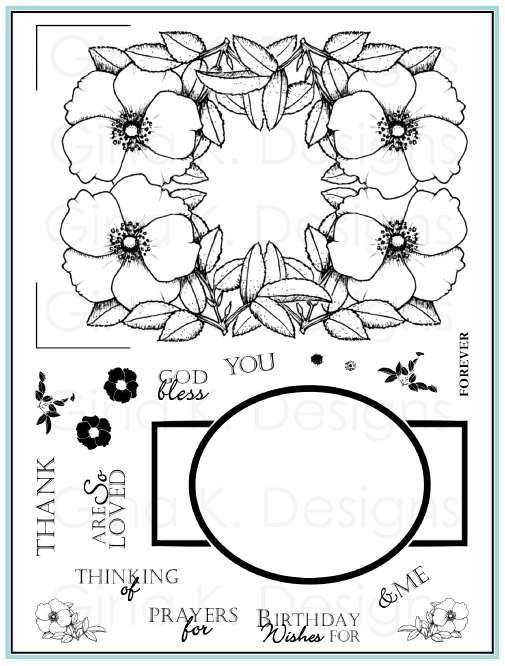 Pop up flower over oval or stamp into background areas to create a coordinating background. Use all the Stately Flowers inside the oval. Butterflies coordinate with the larger butterfly in Make a Statement, although they are smaller and not as wide. 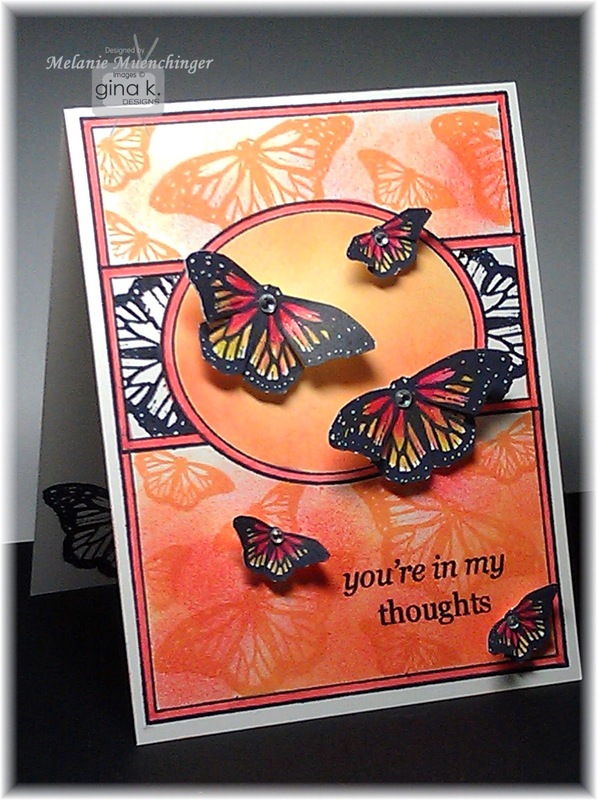 Mix up the three sizes on your cards for a gorgeous swarm of butterflies! They are a perfect accent for any nature or floral cards. around the world and is found in a variety of shades. Use the butterflies to create scalloped lace borders like I did in this video. 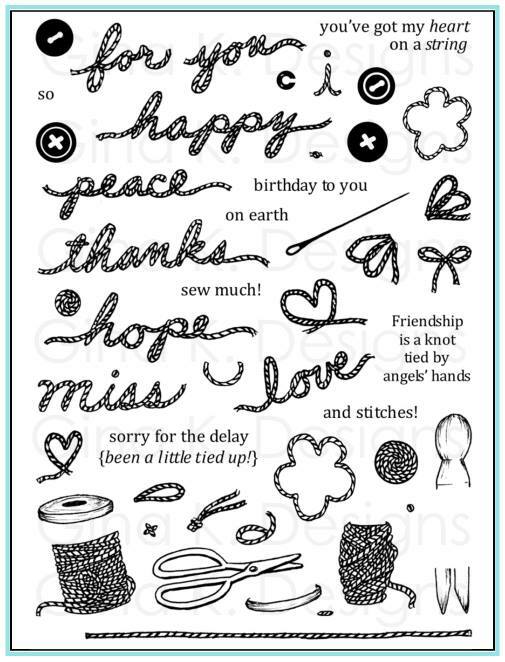 Since they are all different sizes, you can use them all on the same card to create a very intricate lace pattern. Use Versamark ink and pastels for the popping pastel technique. Clear emboss the frame and sponge inks over it. Cut out just the oval to use on other projects anytime you want to frame an image. Cut off one side of the frame or the other, stopping at the oval and rectangle strip, to place on your cards layered over colored cardstocks, pattern papers or die cut borders for different layouts. The belly band and oval will fit on a square 4 1/4 inch card. 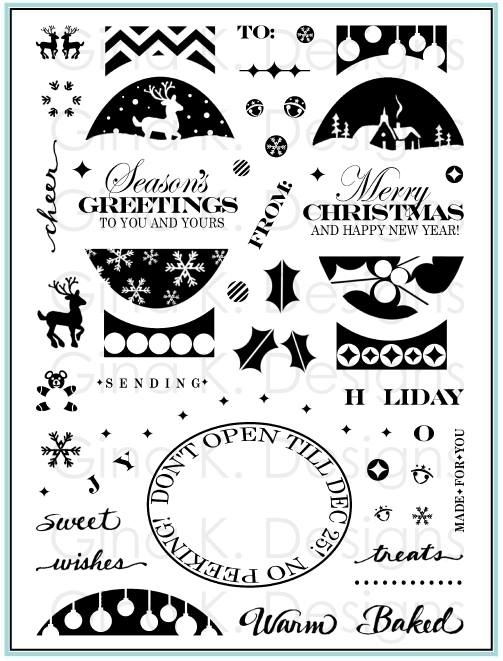 Layer different shaped die cuts over the oval to create multiple layers and fancy up the oval. If a more layered look is desired, stamp the frame up to three times and cut it out to pop up in stages. First the full frame, then the belly band on top an finally the oval. Wow! leave the border on each layer you cut. Embellish the corners or top and bottom of the oval with pearls, rhinestones, brads, fancy punches etc. Use nature images and sponging to create scenes inside the window or mask off the borders and have a larger scene that extends beyond he oval. Create dimensional flowers by bending and sculpting the stamped petals with your fingers. Stunning! Use embossing folders over the frame after stamping. The texture will look so gorgeous inside these panels. 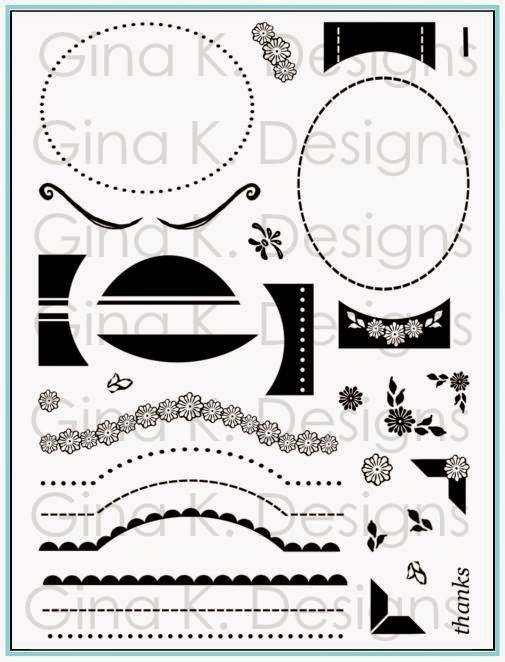 Welcome to our Illustrator Hop, giving you a peek at our newest sets releasing tonight at Gina K. Designs/ StampTV at 7PM CST! So come hop along with us and don't forget to add a comment on each blog. We will pick a random winner to win an awesome grab bag of Gina K. Design Goodies!! I am so excited about my new set Fabulous Frame, and even more excited how excited you all seem to be about the sneak peek of this set and my video, I can feel the love! Thanks so much! If you have not yet seen the first video, it really speaks for itself how versatile and easy it will be to make over the top amazing cards with this set. Finally, if you get the Studio cut file, it's easy to have a ton of cut butterflies on hand to add just one or a whole fluttering swarm to your cards. It will be available as a free download through the weekend on our StampTV Freebies page (must be StampTV member* to download, need Studio software and cutter to run program) and will be added to our store later in regular stock, for the low price of just 99 cents, of course. I will have a new technique and new video for you on Monday though with the while we hop with the rest of our design team! Can't wait! 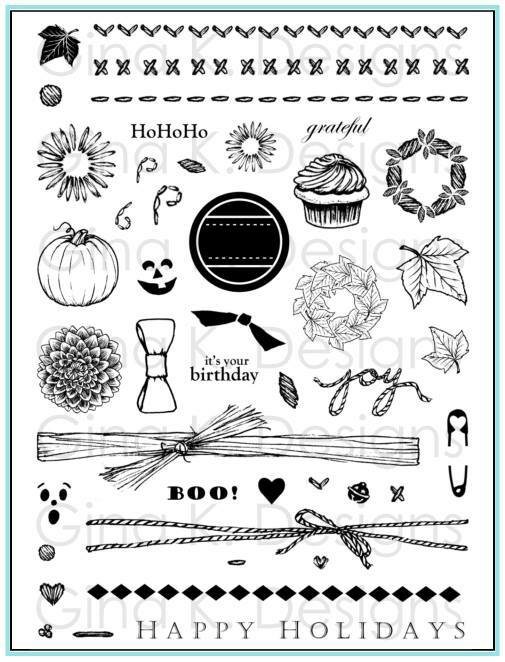 I will be posting my tip sheet for this set tomorrow! 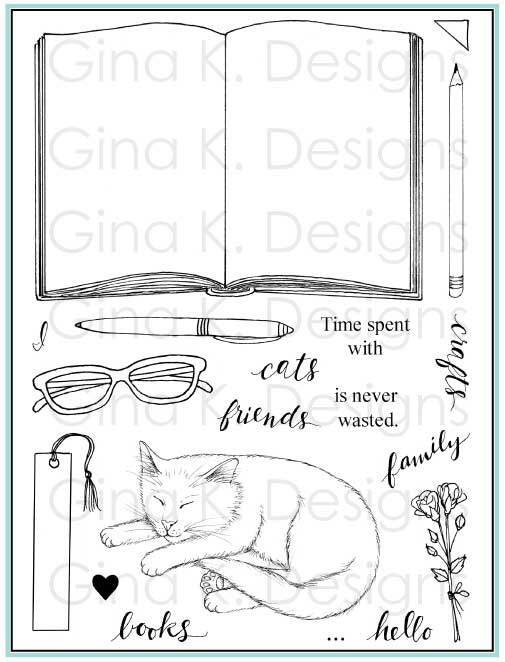 Now check out what's coming tonight from our other Gina K. Designs Illustrators! Hope to see you at our release party tonight at StampTV! If you're a first timer, be sure to watch the video on Gina's blog for a preview of what to expect. * Signing up is free! Hello! Today's video gives you a peek at my newest set, Fabulous Frame. Fabulous Frame is available for purchase this Thursday, June 26th at Gina K. Designs! Start your wish list, everyone, this set is a must have! 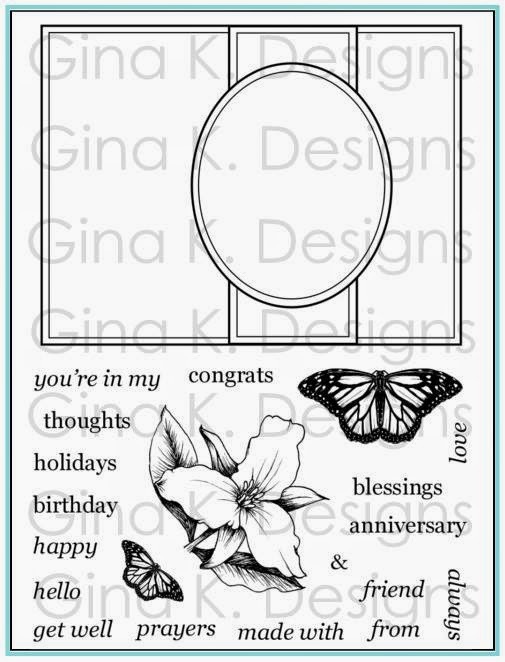 (I'm thinking this one will go fast) The newest in my frame series of stamps, it includes all occasion greetings, a flower and butterflies for fabulous focal points and embellishments, and an A2 sized frame for creating elegant portrait or landscape layouts on your cards. This frame takes the guesswork out of creating a successful layout as well as saving time and added cardstock and bulk. 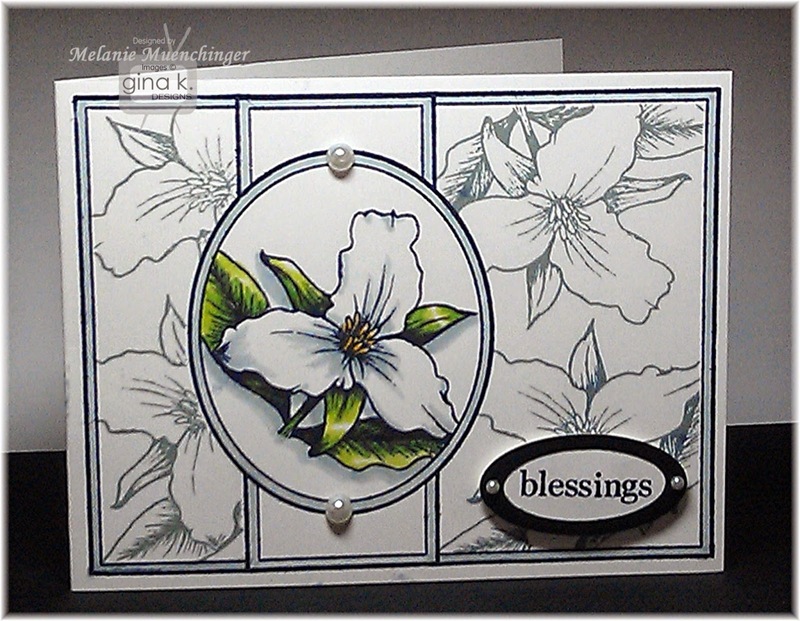 In less than ten minutes (actually only about 5 because the first half I am discussing the set, supplies and frame), I show how to add color to the borders, reverse mask the background, and finally color the main image for a fabulous single layer card. Simple, although the result looks anything but! Supplies for this card are listed below. Thank you for watching! For more inspiration and ideas for other sets in my frame series, purchase my book, Fabulous Stamped Frames. Gina K. Pure Luxury White Heavyweight cardstock 4 ¼" x 11", scored at 5 ½"
Hope to see you all at the party! My stamps for our new release are arriving today so that means this weekend I get to play! Although they won't be available for purchase until our Gina K. Designs THURSDAY, I think I should use them in my new video for TUESDAY, what do you think? My Youtube channel is almost to 1000 subscribers and 100,000 views! I'm sure all my readers were among the first, but if you have not yet subscribed, please do so! Any guesses what I'm releasing this month? Copic in the Craft Room! I am so honored to have my work showcased today on Copic in the Craft Room! I am a longtime fan of their markers as you know, and Copic products and instruction the past six years have greatly influenced the artist I am today. Thank you Copic for producing such high quality coloring materials and all the inspiration I have received from so many talented ladies over the years! Please check out their wonderful page of inspiration, information and resources! Colleen loved this iris sample (from my Stately Flowers 8 set, just a few left in stock, this card and video have been so popular!) colored with Copics, of course! Thanks Colleen for the shout out on Tuesday Toots! Be sure to "like" their page! Hello! Hope you had a terrific weekend and father's day! In today's video, I show some very simple coloring and shading tips for the sunflower in my Stately Flowers 5 set, using Spectrum Noir alcohol markers and blendable pencils, plus a white marker! Alcohol markers are also great for customizing embellishments, like the new Gina K. wood buttons. I also added a masked background using the herringbone border from my Pretty Patterns 2 set. It creates s a textured look and adds so much interest to this card. Refer to supply list below for details as well as coordinating Copic colors. Hello! Hope your summer is off to a great start! Today I am sharing how to make a stair step card of cascading stamped flowers using my A Year of Flowers 2 set from Gina K. Designs. 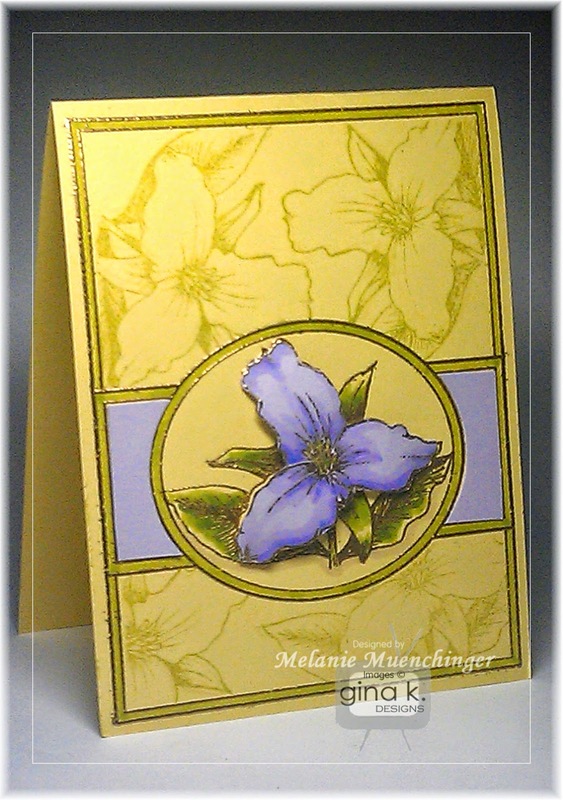 A similar card of mine was featured on the cover of the CardMaker Summer 2014 . Thanks, CardMaker! A free download of the written instructions is included here. Apologies: I said “brush tip” at 4:02, I meant bullet tip. Spectrum Noir markers come with a chisel and a bullet tip, but brush tips are available to replace either end, your choice! 1. A. I prefer a really close shot of the card. B. I prefer the camera zoomed out to see all the supplies during the video. 2. A. I want to see videos for sets I already have. B. I want to see the latest sets in action to help me decide if I want to purchase them. 3. A. Don't share a video if the set is out of stock, I'm frustrated I can't buy it right then! B. Show sets even when are out of stock. I bought them already so I'm ready to play NOW. 4. A. I want more videos per set. B. I want fewer videos per set so I can see more sets in action. 5. A. I prefer simple cards. B. I prefer more elaborate cards. 6. A. I prefer coloring videos. B. I prefer technique videos. 7. A. I am watching for the technique itself and don't need to see every step of the rest of the card. B. I like seeing the whole card made step by step. 8. A. I prefer a shorter video, I got stuff to do! B. I like a longer video, more is better. Obviously, I want the videos to be as helpful and customized for you as possible, but there are a lot of you, so I would really like to know what the majority wants (although with videos every week, I can alternate how I do them to provide some of both.) Sorry for so many sets that have been featured in the videos being out of stock right now, they have been in such high demand after a demonstration we are having a hard time keeping up! I will let you know here on Facebook for sure when I see a set is back on the shelves. Thanks for your patience. You can always call customer service for requests or check on the status of a set if you need to. * Do you like the bigger text, is that easier on the eyes?